This Natural California Gold Nugget has gorgeous color and a beautiful shape. 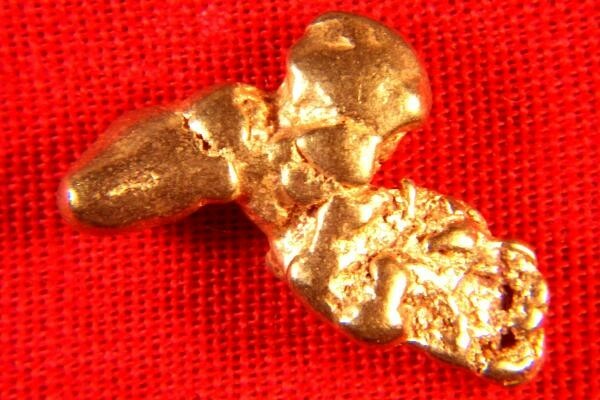 It is very rare and unusual to find gold nuggets from California for sale as California gold nuggets are becoming very rare and hard to find since the gov't banned suction gold dredging in 2009. 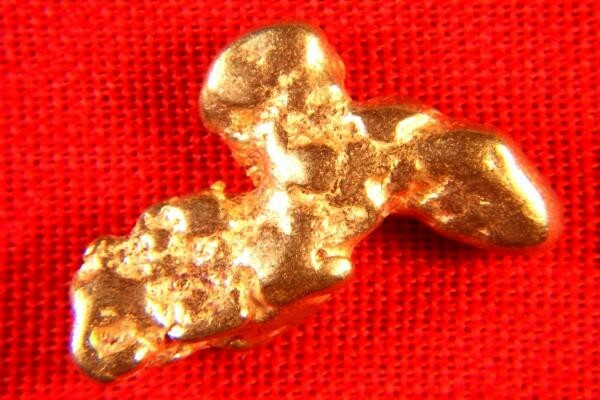 This gorgeous gold nugget is 5/8" (15 mm) long and it weighs in at 33.4 Grains (2.17 Grams). This is a hand selected jewelry/investment grade gold nugget and it comes with a certificate of authenticity.